Some of you might have been informed about the upcoming Ohvola x Sensual Nails Spa event happening this Sunday. It will be an afternoon of shopping, getting your nails done, enjoying yummy treats and also hampers provided by our sponsors to be won! We will be unveiling around 15 designs from our upcoming collections at the event, so you can get your hands on them first. Simply leave your email in the comment box below and let me know why you'd like to win an invite to the event. A date with my love; headed to Tonkotsu King at Bugis cos we were craving for some good ramen! Was told that there's usually a queue during dinner time so we went there just 10mins before it opened at 5pm and indeed there were already 2 groups waiting outside. Plenty of seats unlike the outlet at Orchid hotel. We were given this paper for our orders with only 5 flavours to choose from! But it's already sufficient for me since I always cannot decide on one if there were plenty to choose from. I like how you can customize your own ramen in various texture/taste of soup etc. Always look so young with his cap on! The first time I came they were out of flavoured eggs, super disappointed so I didnt wanna blog about it. I mean what is ramen without the eggs right? Thou they have free boiled eggs and beansprouts, the feel is just different without flavoured eggs! This is Summer the spicy meat miso, if I didn't remember wrongly. I definitely prefer the spicy soup base to mine cos it was more flavorful. Tonkotsu King four seasons is one of the worth-going ramen places if you're around bugis area. Service is prompt and price is reasonable with the huge serving. Would love to try the 3 other outlets with different menu and concepts soon! Here's what I wore that day. Wearing this oversized top Sean bought for me when he was at Bkk. Well actually he also got me a pair of green jeggings to match with this top (he saw the photo of a korean spree model in the outfit lol) but I just didn't look good in that outfit. I always knew Sean preferred this street kinda look on me rather than wearing dainty girly dresses. So I actually refrain from wearing these whenever I'm out with him. Dinner to Lola's Cafe located at Simon Road. So happy that it's just 10mins drive from my place! Very limited seating area but we were quite lucky that the 2 times we visited Lola's we didn't have to wait at all! Well known for their fruity cider beer! The signature dish I guess is prolly their chicken wings? so crispy and good. Best part is they were having a promo of wings + cider @$15nett. Best of both worlds! I personally also love their crab meat spaghetti, very generous with their crab meat. A little spicy but still manageable for me. Not a must-order for truffle fries, there's still room for improvement for it. But then again, it's another cafe without gst/service charge so yes I'm definitely coming back to try their brunch menu! Chanced upon Pasta Fresca Da Salvatore at Bukit Timah before catching The Conjuring 2 weeks back! True blue Italian cuisine, even the waitress was an Italian! Food was pretty mediocre, nothing fantastic. Doubt I will be back again even if I'm around the area, I'd prefer Pepperoni pizza anytime! With my pretty girlfriend Ger, who never gets fat despite having Mcds all the time! It's our first ever tea party for us to meet our customers, I'm really excited for it! 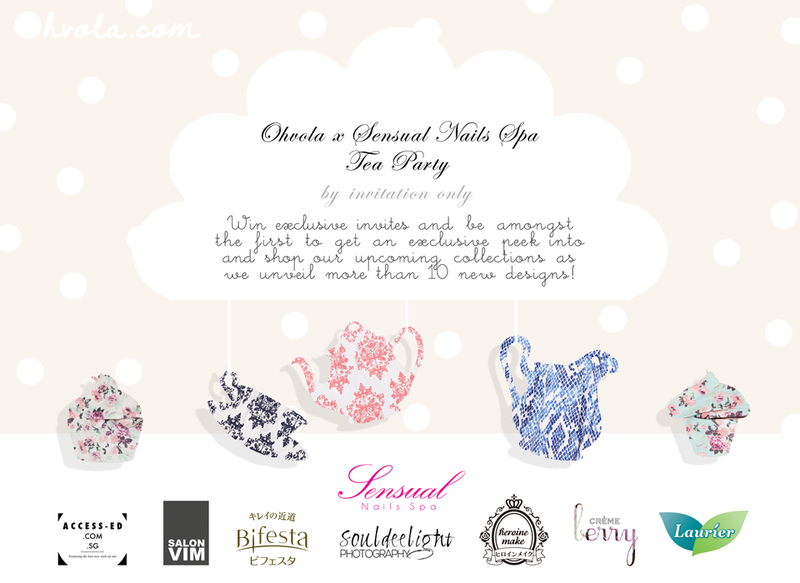 I would really love to win an invitation to the very first ohvola x sensual nail spa tea party event! I would love to go for this dainty event organized by Ohvola. It is just so perfect after a tiring week at work and i always wanted to see you 2 pretty sisters in real life! I would like to win a pair of the tea party invites so I can bring my bff(who've been so stressed up with school) to enjoy a relaxing sunday and pamper her! 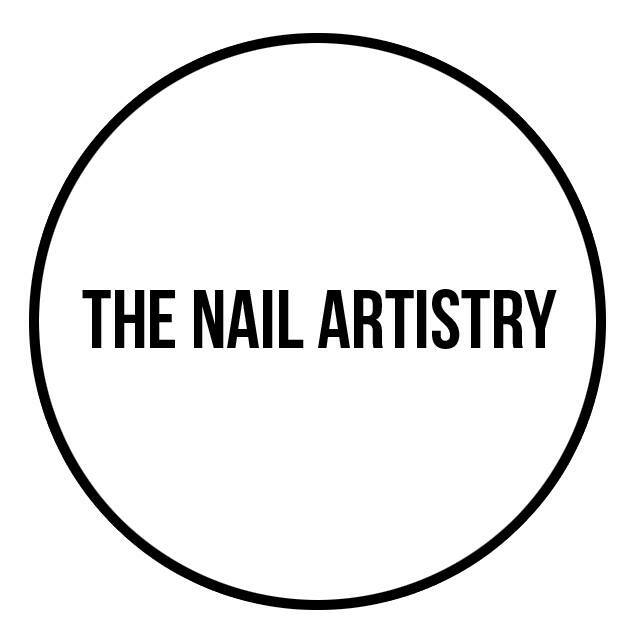 Hi Jolene, I was sent an invitation to the tea party and was wondering if I can invite a friend as well along with me for I know she would appreciate having her nails pampered than I do! It wasn't indicated in the invite about bringing a friend along and I was wondering if I can do so. Appreciate your reply on this. Thanks and can't wait to see you and Lu this weekend! Hi Jolene, i really hope i can win the invite as it would especially be memorable for me as my birthday (26 Aug)is coming (if i get invited to the tea party i will show u my IC to verify my birthday ;) )What better way to celebrate with some girly self-pampering! Would really loved and hope to have the opportunity to win this tea party session to be able to meet you & Lu in person once again! 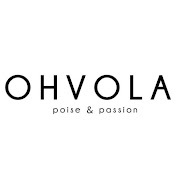 :) I must say that Ohvola is the first online brand that I came across through my friend's facebook & at that time, & started looking through all the dresses & clothings I fell in love with the them!! The first Ohvola dress I owned was the Sequin Hem Frock which I still love it as much till today! 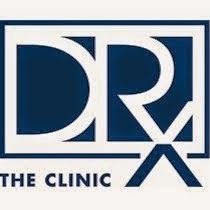 Thank you for always launching such great clothings with really reasonable price for the quality & design.. I always never fail to feel girly & confident in them! Been really really stress at work and hoping for a fun fill weekend together with you. Thank you! Will like to be able to go to the tea party with my best friend as both of us are huge fans of ohvola! 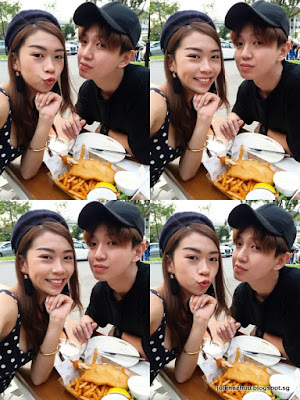 It also allow my bestie and I to hang out together after not seeing each other after so long due to work commitments. Would love to get an invite for the tea party to grab the upcoming collection, esp since I noticed that Ohvola's apparels have improved alot in both material and designs! Your collections are often unique and stylish which is so different =) not forgetting the 2 lovely owners behind this. Choose me please! The two sisters and I are major fans of Ohvola. We wear everything Ohvola from head to toes! It will be very nice if we can be there this Sun! No! We NEED to be there! The upcoming items all look very yummy!! Keeping all my fingers crossed! Thank you for reading! Hi Jol, my moods and excitement will be much liven up if I receive yr tea party invitation which helps to relieve the pains of my dad death. my email: chixian@live.com, an event to look forward to. Hi Jolene, I would like to attend the tea party tgt w/ my girlf as we've been a major fan of ohvola & it'll be an eye opening experience for us to be able to have a sneak peak at the gorgeous upcoming pieces of ohvola. Moreoever, what better way to end the day w/ all the sweet treats that you girls have prepared for us in collaboration w/ sponsors that you have looked for to ensure a smooth and enjoyable tea party event for all the lucky girls that are invited. Plus, it would be a bonus to be able to spend a different kind of weekend w/ my girlf over @ the tea party rather than the usual shopping. Hi jolene,i would like to attend the tea party as half of my wardrobe is from ohvola.i have never looked back since my first purchase.so please let me attend the tea party. Being a big fan of ohvola, I hope to be one of the few to lay my eyes and get my hands on the pretty clothes first before it is launched. The lavish details and intricate designs always catch my eye. I truly hope to be part of this amazing event this summer with an ideal tea party theme and enjoy every moment with the owners of my favourite blogshop, as well as my bff who is just back from europe after a year. I would like to win this because I really really really love to attend a great party like this. I hope that I will be one of the lucky winner for the exclusive invites. Really love your pieces and I too can't wait to grab exclusive pieces prior to their launches.